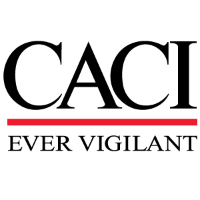 CACI International Inc., is seeking a Software Developer with proficiency in any Object-Oriented Programing Language to support our DoD customer at Fort Gordon, GA.
As a member of a small development team, you will actively participate in development cycles, work closely with other developers, and participate in the planning and implementation of application architecture decisions. .
We seek a motivated developer who can move from a Java server-side microservices to building an HTML web interface using front-end frameworks such as jQuery, Dojo, Bootstrap or whatever tool is right for the job. One day you might be integrating with third-party web-services, and the next you may be laying out a new web page. Your daily development will be on a multi-network, multi-node enterprise web-application with a large customer base. We are seeking developers who can change direction rapidly, utilize flexible thought processes, and can work in a close-knit team environment to produce the high quality product that our customers expect. Code, test, and debug existing programs and programs in development. Assist in preparing documentation of software design. Work closely with other developers from the beginning of a product life-cycle to its release.